Are you frustrated with your current digital marketing and feel that you’re not getting the most out of your marketing budget? Symptoms include poor sales, low rankings, clicks with no conversions or floundering on social media. Even the best marketing strategies can miss the mark at times. Or, maybe you don’t have a strategy at all. Strategy or not, these five tips will help you overcome your digital marketing challenges. They will help you to stay ahead of your competition and improve ROI. If you’ve ever done any face-to-face selling, one of the most important lessons taught is to ask for the sale. You can do a stupendous warm up, fabulous presentation, and a solid close. But, unless you ask for the sale, you’ll walk away empty handed. And, it’s the same with digital marketing. Your product page can have all the information, the latest 3-D, 360⁰ views and AI-powered gizmos. But when there is too much going on, multiple links, and an unclear call to action, you’ll lose the sale. Your buyers are abandoning their carts in confusion because the “BUY NOW” button is surrounded with ten other links asking questions and pointing away from the sale. Here are some other overlooked or underused methods of asking for the sale. Upselling Adds 30% or More to Your Sales – One study concluded that by merely showing a higher priced item next to the shopper’s choice, 4.25% of all shoppers bought the more expensive item instead. Cross Selling – You’ve sold them the computer, now sell them the mouse, screen cleaners, and protection plan. Cross-selling increases revenue and Customer Lifetime Value (CLV) especially B2B. 31% of retailers see conversion rate increases from 1% to 15%. 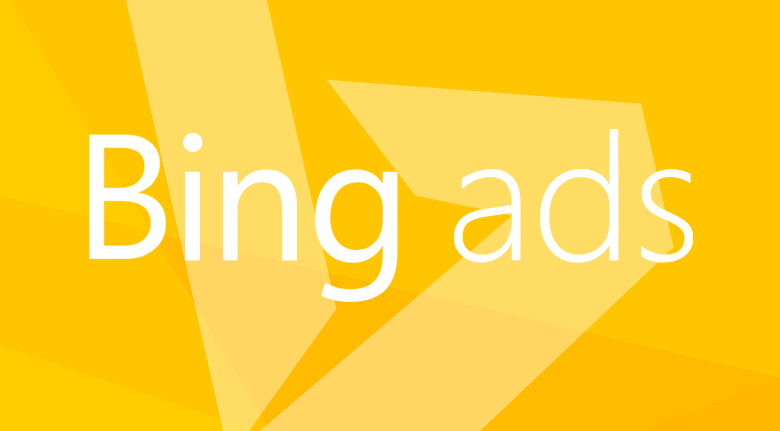 Clear & Multiple CTA’s – Use one highlighted, attention-grabbing call to action button above the fold on every page. Add other CTA’s in appropriate areas in the middle and bottom of each page. The only hard and fast rule for CTA copy is to keep it short and sweet. [Our customer] uses only “Shop Now” to drive customers to product pages from the homepage. No business is immune to these mistakes. A survey of 200 enterprises uncovered the fact that 70% don't display clear calls to action, representing a tremendous loss of opportunity. Social media is a long-term play for online marketers. The goal is to convert visitors into interested followers and then into paying customers. Incorporate these sites into your eCommerce marketing. 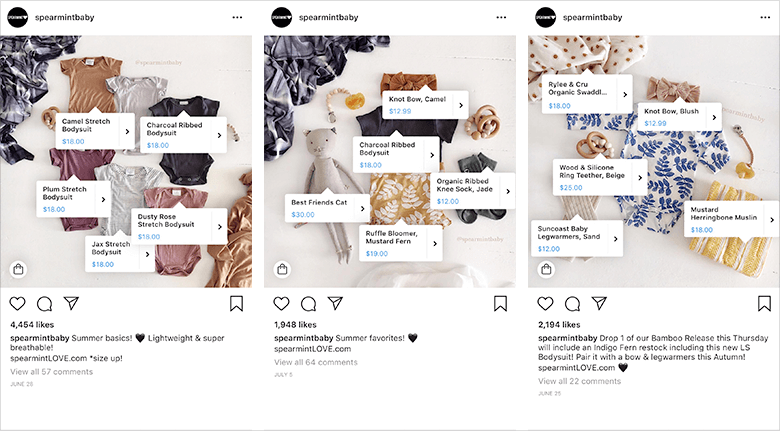 Instagram –You can make any post on a shop now instagram galleries connection to your store. Customers can click the image to go directly to your store and buy it. Facebook – There are 2 billion people on Facebook every month making it a powerful marketing tool. Facebook ads offer highly segmented targeting using demographics and location to deliver relevant information with a better ROI. YouTube - This video platform has nearly as many users as Facebook at 1.5 billion. Businesses can leverage this platform for free, adding valuable content such as explainer videos, product reviews, cross-promotions, and new product announcements. It’s the third most visited website, making it a perfect place to build your brand and generate leads. 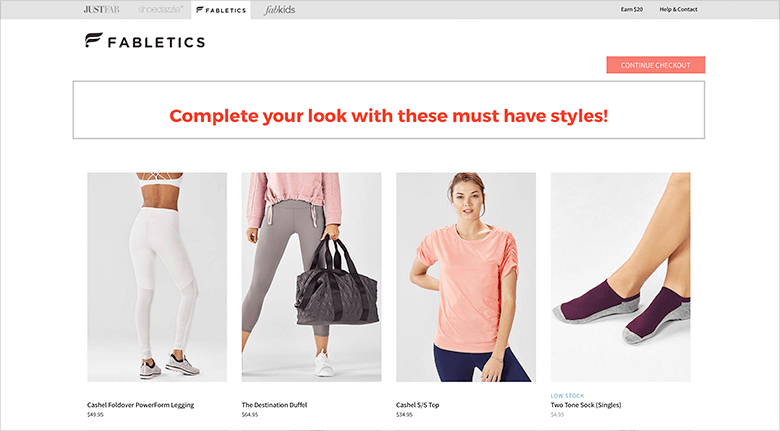 Pinterest – eCommerce retailers can showcase all their product images. Pinterest works well to gain more traffic or sales to their sites because consumers love the pin and save concept to plan their purchase. At $50, Pinterest boasts the highest AOV (Average Order Value) and is the second highest source of traffic for eCommerce sites on Shopify. Social marketing requires significant lead time to build a following and see any ROI. Influencer and content marketing will eventually pay off with backlinks, SEO organic traffic, and sales. Email campaigns are one of the most critical parts of your sales funnel/digital marketing strategy. There are volumes and websites dedicated to email marketing. 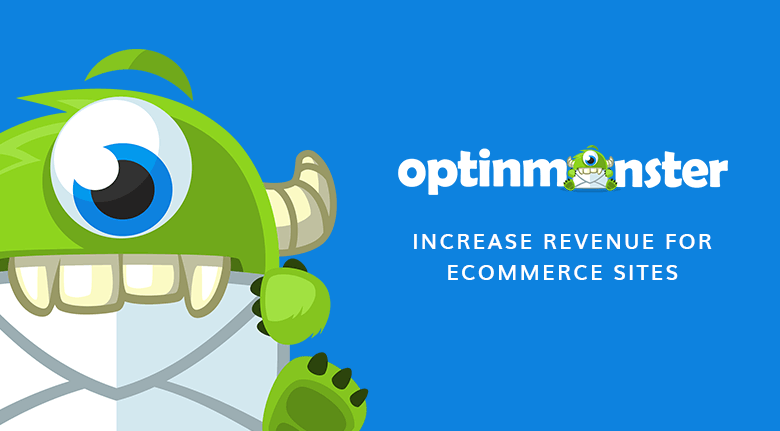 Here are some of the fundamental optimizations that are often overlooked or ignored, costing conversions and sales. 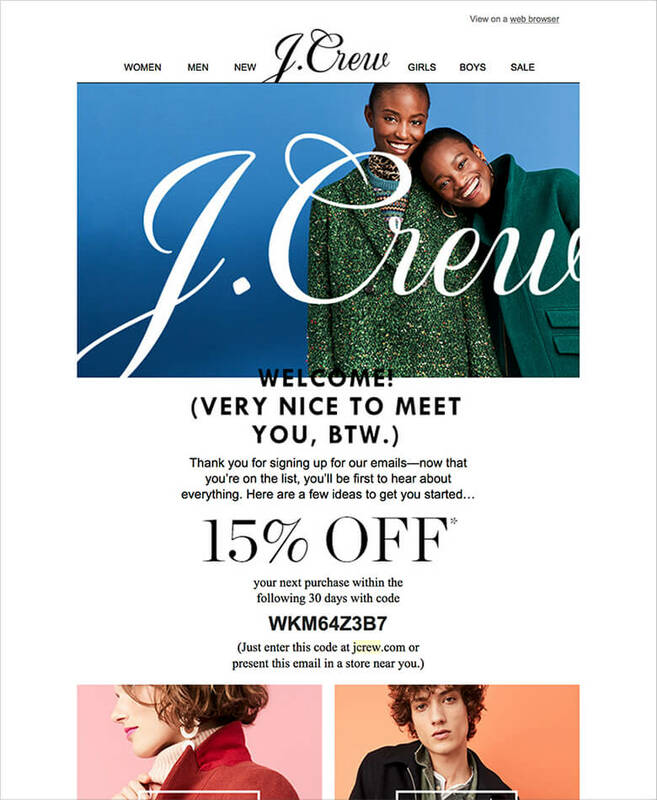 Welcome emails – A welcome email helps cement a relationship between your brand and the customers. It makes future targeted offers and upsells more likely. Provide tips and relevant info – In marketing terms, this is lead nurturing. Keeping your prospects interested without hammering them with sales offers goes a long way to establishing trust. Providing useful and interesting content keeps your brand top of mind. Send coupons and discounts – All shoppers love a deal. In one experiment, a merchant who sent coupons to all his social media channels improved conversions by 272%. Ask for feedback – Email surveys are an effective means of learning about your customers and your business. Don’t take this step lightly and use the best practices before asking for feedback. The knowledge you gain is priceless. Wishlist reminders – Your customer’s wish list is an untapped goldmine. Keep them interested with reminders, price drops, birthday wishes, and low stock notices. It’s direct access to your customer’s mind which you can quickly monetize. Adding customer reviews to your product listings can create an immediate boost in sales. Dune, a London shoe retailer, reported an 82% increase in sales by adding reviews. The biggest reason why user-generated content reviews work is credibility. 92% of consumers trust word of mouth more than any other kind of advertising. They want to hear the genuine opinions of other consumers who purchased the same item. Some companies can help gather and curate UGC for your marketing efforts saving you time. One of the biggest brand differentiators is personalization. Ecommerce has become “me-commerce” as retailers vie for shopper’s attention and sales. Shoppers have come to expect personal treatment and gravitate towards those shops that provide it. 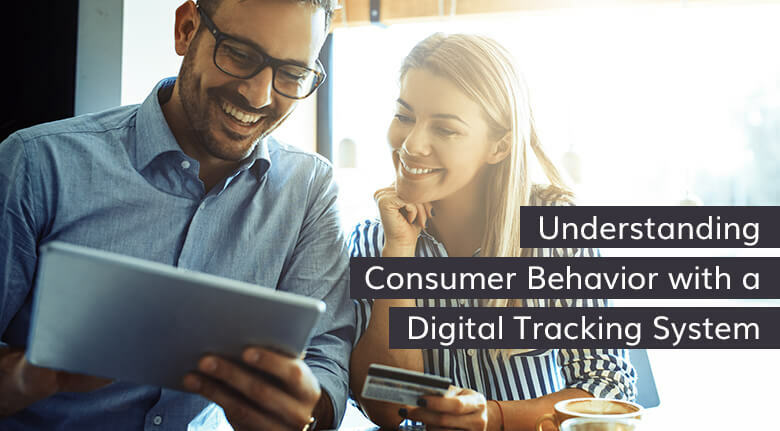 Online retailers have the advantage over their brick and mortar cousins because they have scads of personal shopping data at their disposal. Online stores can address customers by name while they browse, offer related products, coupons, and upsells when they purchase. After their purchase, they can keep in touch sending birthday greetings, ask for feedback, give exclusive discounts, and promote new items to keep them engaged all year long. Soon, stores that don’t make shopping a personal experience will be as obsolete as stores that don’t offer mobile-responsive websites. Unless you have an in-house team, implementing these five tips can take up a lot of resources. It takes the right applications to curate and manage all the data for each strategy. The idea is to contact consumers in the right place at the right time with the right offer. 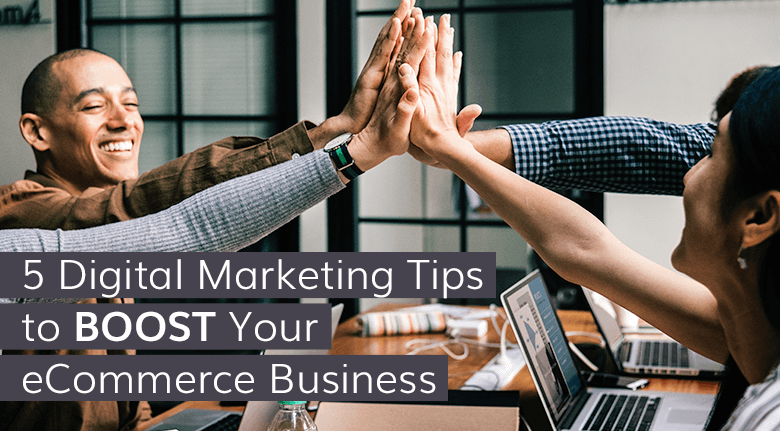 Most eCommerce businesses think the level of sophistication in digital marketing has become too complicated and time-consuming. You need an experienced team to bring the tools and tactics together to make everything work. If you think it’s time to get help with your marketing, or need some guidance, please contact us.